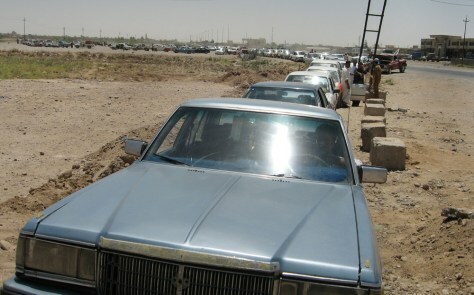 Motorists wait Thursday to buy fuel on the road outside a gas station near Iraq's largest oil refinery in Beiji, Iraq. Iraq have endued three years of attacks on oil pipelines. Three weeks ago the attacks stopped and U.S. commanders can't say why, but renewed oil sales are sending needed cash to Iraqi's government.